AAMC President and CEO Darrell G. Kirch, MD, says the failure to disclose potential conflicts of interest harms patients and the medical profession. My wake-up call occurred in 2004 while reading Jerome Kassirer’s powerful book, On the Take: How Medicine's Complicity with Big Business Can Endanger Your Health. As a medical school dean then, the book underscored for me the importance of recognizing and managing conflicts of interest in science and health care, potential or real. The relationship between academia and industry is usually a positive force for innovation. To sever that tie would hold back major discoveries and scientific progress. The commercialization of research is the most effective way to move discoveries from the bench to the bedside. Amazing advances in cancer treatments, such as CAR-T therapy and checkpoint inhibitors, would not have been possible without academia and industry working together. At the same time, research needs to be free of any influence that could compromise a patient’s best interests or threaten objective scientific inquiry. Any lack of disclosure that becomes evident later can erode confidence in our work and diminish the public’s trust. A few months ago, media reports regarding a prominent researcher’s failure to disclose all his financial ties in a number of articles in leading biomedical journals showed that we still have work to do to ensure that a practice of rigorous disclosure is in place. Research needs to be free of any influence that could compromise a patient’s best interests or threaten objective scientific inquiry. When I became AAMC president in 2006, I was pleased that AAMC leaders were addressing disclosure issues. The AAMC-AAU (Association of American Universities) Advisory Committee on Financial Conflicts of Interest in Research published several reports that have had considerable impact in this area. When the Public Health Service proposed regulations for managing conflicts of interest in federally funded research, the AAMC led the response to the proposal and helped our members implement the new rules in 2012. With the collaboration of the research community, the AAMC championed the concept of “principled partnerships” to describe ethical collaborations with industry that would advance science while addressing any potential conflicts of interest. What was needed, though, was an effective reporting system that could ensure accuracy and ease of use. At the time, the evolving disclosure process was fragmented, and disclosure requirements were inconsistent. Drawing on specific recommendations from the National Academy of Medicine, representatives from academic medicine, universities, medical journals, continuing medical education, government, and research communities were brought together to develop a uniform disclosure system. From there, Convey® was born. Convey is a tool designed by the AAMC to streamline and standardize reporting of any relationships with industry that need to be disclosed for journals, institutions, or other organizations. Using this central web-based repository, researchers enter and maintain secure records of financial interests which can then be disclosed directly to any institution using the system. Besides improving the management of submissions, Convey benefits institutions by enabling them to tailor the data collection process so they receive the information that aligns with the policies and compliance requirements of their organization. Besides improving the management of submissions, Convey benefits institutions by enabling them to tailor the data collection process so they receive the information that aligns with the policies and compliance requirements of their organization. The response to Convey has been encouraging, and we believe that it could help individuals and institutions more effectively track and disclose their financial relationships with industry. Recently, the editor in chief of the New England Journal of Medicine cited Convey in a letter to the New York Times as an important tool the journal was using to prevent lapses of disclosure in the wake of news reports that a prominent researcher had failed to disclose his industry relationships in submissions to the journal. While Convey is a valuable step in the right direction, a tool alone cannot solve the problem. Several journal articles have called for more vigilant reporting about disclosures in the wake of recent incidents that have raised questions about how seriously scientists are taking their disclosure responsibilities. In a study published in JAMA Oncology, the authors found that 32% of oncologists who had financial relationships with industry noted in the federal Open Payments Database had not disclosed these relationships in their scientific publications. Remind faculty of the importance of full disclosure in all writing, speaking, and teaching situations, as well as grant applications. Stress your institution’s obligation to be transparent about any collaborations between faculty and industry. This includes transparency about the processes used to review and manage those relationships. Encourage faculty to review the information posted about them on the Open Payments website of the Center for Medicare and Medicaid Services. They should ensure it is accurate and consistent with disclosures related to all their professional responsibilities. Pursue strategies to ensure students and residents understand the intricacies and importance of reporting potential conflicts of interest related to their work. For science to move forward, academic medicine and industry need to work together. With the guidance of the AAMC Forum on Conflict of Interest in Academe Steering Committee, the AAMC will continue to be fully engaged in helping researchers address this challenge. We are working with member institutions, other associations and societies, journals, and the continuing education community on additional tools and resources that will help our institutions fulfill their reporting obligations. 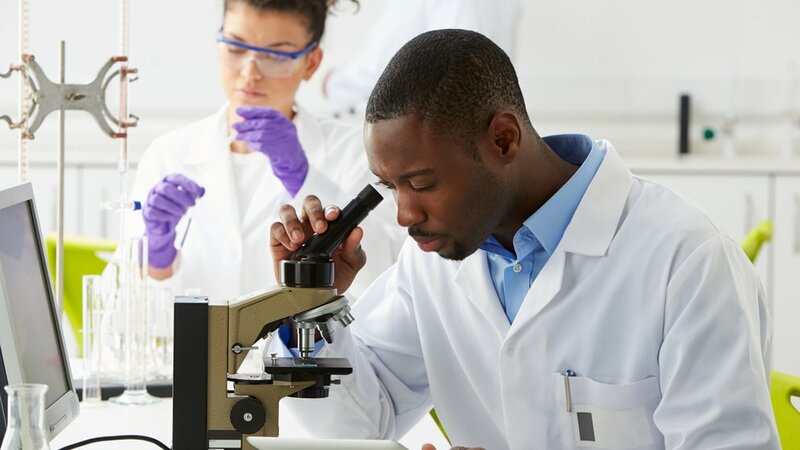 Patients can benefit greatly from ethical, productive collaborations between research scientists and the companies that have the resources and facilities to manufacture new products. But these partnerships must include carefully developed guidelines on what constitutes a conflict of interest and how to review and manage potential conflicts. Finding the core balanced ethical position of principled partnerships is the goal as we strive to protect the integrity of research and clinical decision-making.